Schools — Next Level Living, Inc. 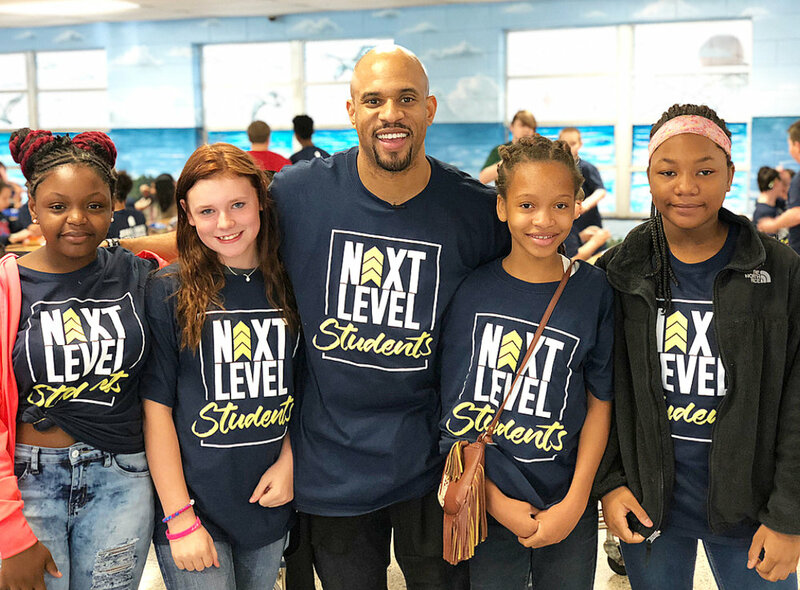 The goal of the Next Level STUDENTS program is to increase graduation rate, decrease the high school dropout rate and decrease school violence, while warning the students about the negative effects of drugs and alcohol. 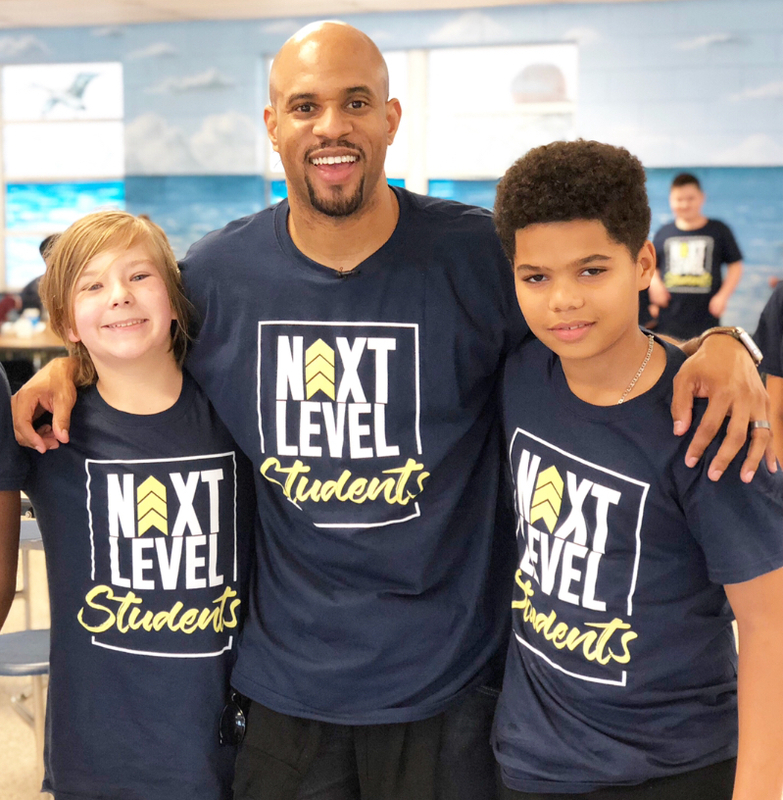 When addressing Elementary and Middle Schools, Jeremy Anderson, the spokesperson and speaker for Next Level Living, Inc., specifically deals with the dangers of bullying, the importance of hard work, and shows the students how to develop habits that will ensure they have a successful future. During Jeremy's school presentations he shares his downfall in life and rise to success. This serves as proof to your students that nothing is impossible if you're willing to put the work in. Jeremy has an uncanny way of connecting with the students of any audience in a real and relevant way. His objective is for the students to recognize the power of education so that they can experience Next Level Living! Next Level Teaching also hosts empowerment workshops and seminars for teachers that will help to rekindle their passion for teaching and bridge a gap between teacher and student. This is an empowerment session that gives teachers, faculty and other staff members the boost they need to stay motivated and strengthened throughout the school year. This session also provides the teachers with insight and tools that will ensure they connect with their students in a more effective way. One critical part of the workshop is the conflict resolution section that shows teachers how to take seemingly problem students and turn them into classroom advocates. NLL recognizes that teachers today are the real heroes, and many times they're over worked, and underpaid. The schools that bring our program in to conduct student presentations also use us to train their staff as well. Because of his past, Jeremy can be a valuable asset to your staff and will help them connect with some of their most challenging students. His training sessions with your faculty and staff is one that will give your staff that needed boost to help them experience Next Level Teaching.